Such were the words used by prominent sports commentator, Neil Kearney, to describe TBV’s impactful video series promoting the inaugural $1 million VOBIS Sires Showdown. The series is a call to arms that reflects an overwhelming desire to be part of and compete in the $1 million contest, and it has evidently made its mark. Driven by the vision of Thoroughbred Breeders Victoria, the campaign was brought to life by Digital Media Creations proprietor Tim Patterson, and features a number of significant trainers and syndicators vying to win the landmark two-year-old sprint in April next year. The gravity of the message was a timely reminder of the necessity to acquire a VOBIS Sires eligible yearling; it is after all the 2016 born foals that are the first fully qualified crop to compete in the richly rewarding race series. Throughout the 2018 sales, these videos did in fact give yearling purchasers the impetus and incentive to go the extra distance to land their potential Showdown contender. “It was a real bonus. It made me bid over $200,000. If it didn’t have those bonuses, I would not have paid that much,” – trainer David Hayes after buying a Magnus colt at Inglis Premier. In the words of Kearney, “bringing the antics of the noble art to the sport of kings,” truly made an impression and sparked a bout of friendly fire in the sales ring. The catchy and punchy nature of the promotional videos also sparked the interest of Kearney and the team at Channel 7, who turned them into a feature piece that aired during their coverage of the Victorian Owners & Breeders Race Day at Caulfield on 21 April earlier this year and then widely across social media. The 2019 edition of the same race day is now just over nine months away. 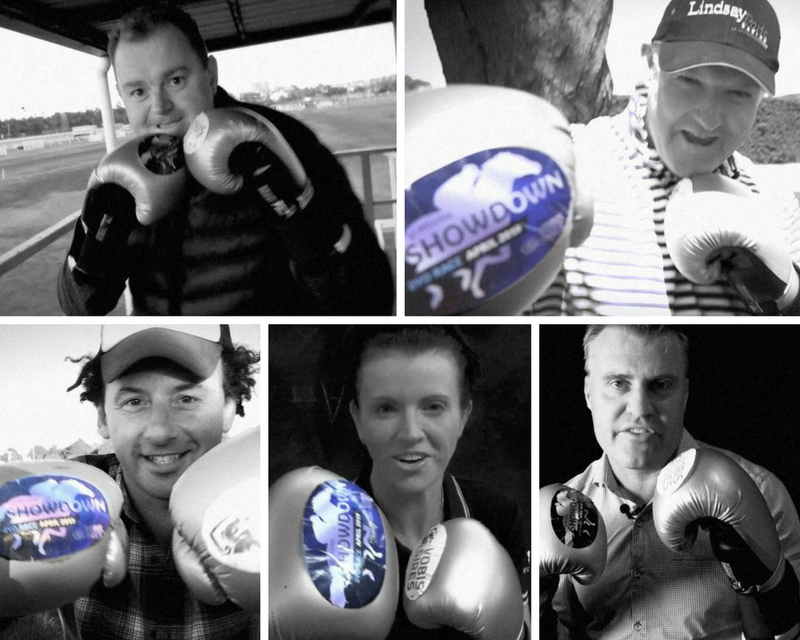 It will see the $1 million Showdown staged for the first time, and such pieces like those produced by Channel 7 set a tone of anticipation for the day well in advance. The “Victorian rumble” and “house of stoush” is set to return in its second round, and is expected to hit screens in late July in what will be another “knockout promotion” for the VOBIS Sires program. Watch the full Channel 7 video on the TBV YouTube page.